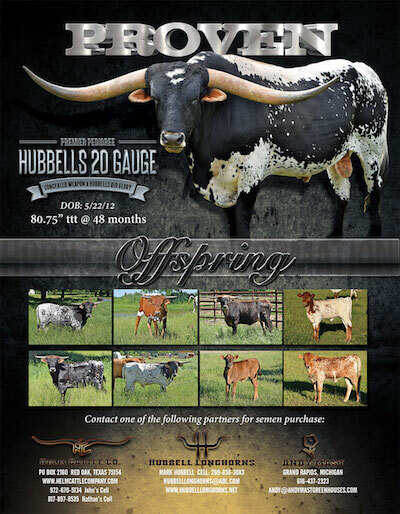 Hubbell Longhorns raises Registered Texas Longhorns in Hastings, MI. 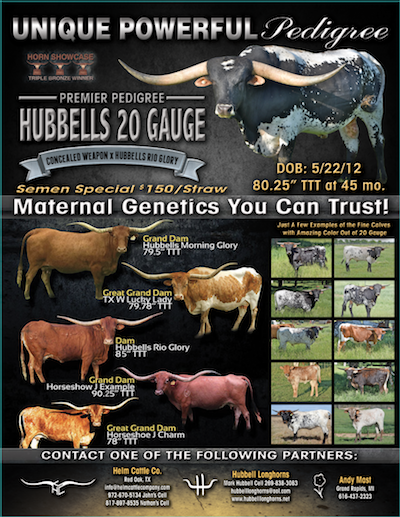 At Hubbell Longhorns we strive to combine leading edge genetics with time tested production. JP Rio Grande has proven to be both - with his sons and daughters topping the sale ring and dominating the horn measuring measuring contests! RIO has proven to produce the whole package ... horn, color, size, conformation, and disposition. Now over 50 sons and daughters from 70" to 90" tip to tip and counting! !